It may come as a surprise that a first world country – like the UK – has a shortage of suitable retirement properties. Compared with other developed countries like the USA, Australia and New Zealand where roughly 17% of retirees live in retirement communities, in England it’s only 4%. There is an opportunity for South Africans to reap rewards by investing in this undersupplied market. A South African run property sourcing company is working with experienced British developers who convert existing stately homes into retirement villages. These properties are located in the sunniest parts of the south west of England where as much as 25% of the population is over 65 – certainly a captive market. Investors acquire a property within the retirement village which is then leased back to the operator for a period of 10 years. Once investment has been secured, the developer oversees modest refurbishment, while the operator is responsible for bringing the property to full occupancy. The investor, in turn, receives rental income of 10% net per annum. Full title deeds of the property are in the investor’s name, and the operating company leases the property. This is the ideal investment for a South African investor because the day-to-day running of the business – finding prospective retirees, recruiting and managing staff, property repairs and collecting rent – is the responsibility of the operator. All the investors do is sit back and receive the rental income each month. A typical retirement property investment will start at R1,5-million and generate a healthy R150 000 net income per annum. But remember, this 10% net income is paid in pounds – which is an important fact considering that the pound is, at the moment, still relatively cheap in rand terms. The outlook for the rand is that it could continue to lose value against the pound, which is why investors looking to protect their retirement income should consider investing now, as any devalue in the rand would have an equal and opposite effect on their income thereby providing a perfect rand hedge. For example: a 20% decrease in the rand value would mean that their return on this investment would increase from 10% to 12%. That extra income would come in handy for any parents looking to visit children who have immigrated overseas. Luxury retirement villages differ from nursing homes in that they do not primarily accommodate those who need 24-hour nursing care, but rather those able-bodied retirees who want to live in a community with access to assistance with personal care, fine dining and organised events. Luxury retirement homes are not reliant on the same number of nursing staff, as many occupants are still fully able and do not require specialist help. Also, they are not dependent on funding from local councils, as the residents are self-funded. 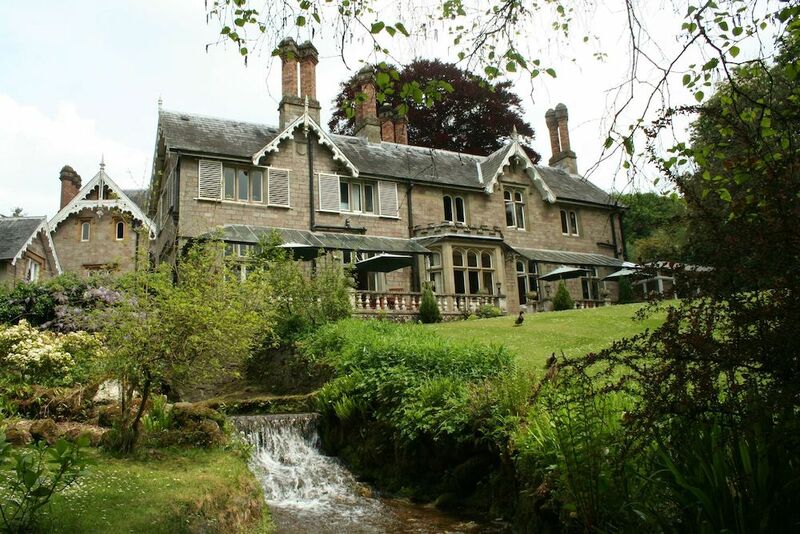 Lindors is a luxury retirement home investment based in Wye Valley, an Area of Outstanding Natural Beauty that spans several counties in Wales and bordering England. This year the developer will transform the 19th century country house into 23 luxury suites and lodges, offering spectacular views of the nine-acre grounds. Accommodation will be available for both short-term and long-term stays, and this flexibility will be beneficial in terms of occupancy levels. Residents can enjoy the beautiful surroundings by taking scenic walks, or if they prefer a slower pace, they can stay in and take advantage of the on-site amenities. To cultivate a community, regular wine tasting and fine dining activities will be held. South Africans can purchase a suite in Lindors from R1,5-million and benefit from it being a fully managed investment, and receive a 10% return guaranteed over a 10-year commercial lease. It is not just One Touch Investment who think this is a good sector; wealth manager L&G has recently acquired a portfolio of £500-million later living communities. If you wish to explore this or other UK property investments further, One Touch Property visit South Africa quarterly to host one-on-one consultations with potential investors. Their next trip will be in February 2019, so now is the right time to book your consultation and make sure your future is secure.